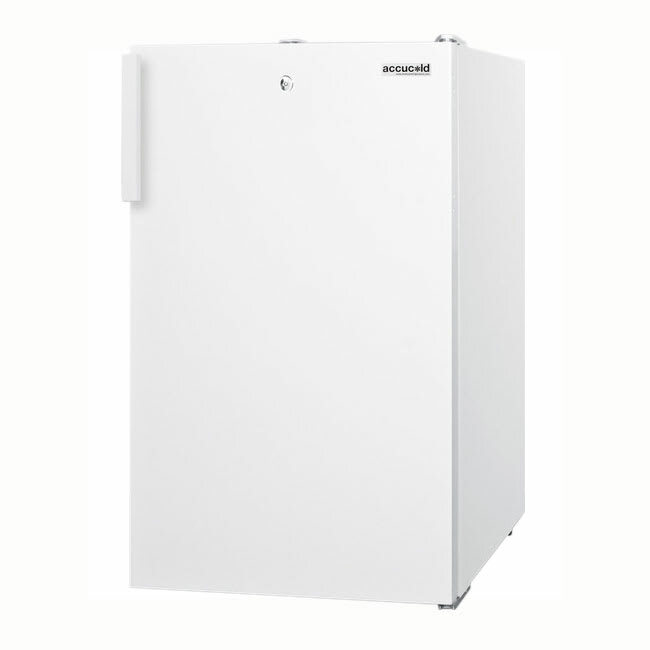 The Summit FF511L undercounter refrigerator has an automatic defrost system that helps prevent the need for maintenance since the fridge runs more smoothly. Cold temperatures are maintained with R-134A refrigerant so products stay in a food safe range. This fridge is not designed to store vaccines, but it is appropriate for other various medical uses. An interior light turns on and off with a rocker switch so products are easier to see. The door is reversible so if you decide to move it, the flow of work space can be adjusted. The white exterior provides a clean appearance and fits into any environment. 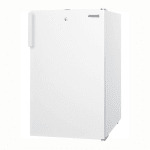 The Summit FF511L undercounter refrigerator has three shelves that are adjustable and remove for cleaning the interior.